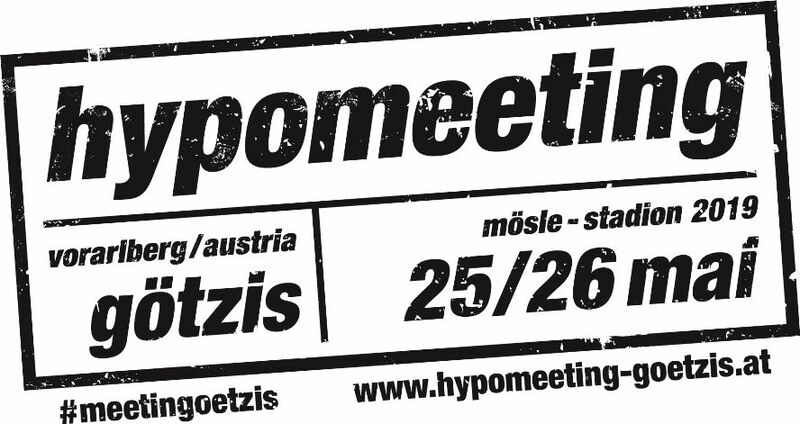 For 44 years the alpine village of Gotzis has been host to what has become the premier multi-event competition outside of the annual championship events. 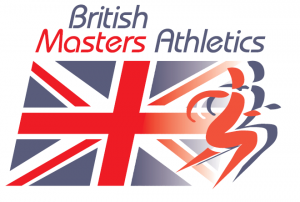 Taking place in the early weeks of the summer it is, more often than not, the venue where the elite multi-event athletes make their full 7 or 10 event start to their competitive season in preparation for the major championships. In the heptathlon British athletes have been multiple winners with Jessica Ennis-Hill a three times victor and Katarina Johnson-Thompson winning in 2014. The feedback from clients about this event has been universally positive as a “must see” competition for all true athletics fans. 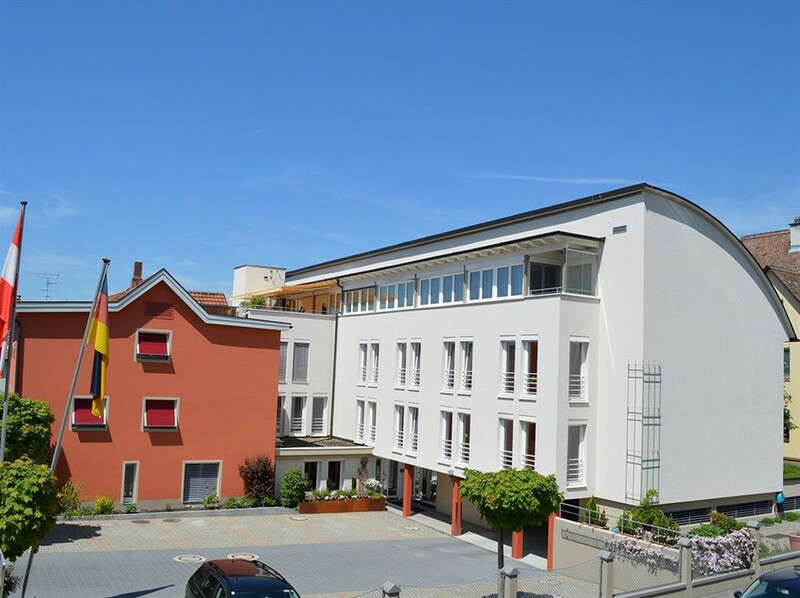 The proximity to the action and athletes in the intimate dramatic alpine venue stadium and the charming town of Bregenz, and especially the excellent family owned 4* Germania hotel all combine to make a delightful weekend. Bregenz on Lake Constance is 25 mins on our transfer bus to / from the stadium. This resort town has a cable car into the mountains and many boats and ferries cross the lake. Allied with our hotels in the charming town of Bregenz on the shores of Lake Constance – we arrange bus transfers to and from the village of Gotzis – and especially the excellent family owned 4* Germania hotel we have no hesitation in offering the same successful programme as in previous years once again in 2019. Gotzis’s one hotel is used by the athletes and organisers during this weekend and whilst there are several other villages and towns located within 10-15 km the best option for a weekend break we believe is the town of Bregenz on beautiful Lake Constance. Frequent reasonably priced trains from Bregenz to Gotzis take from just 20 mins. 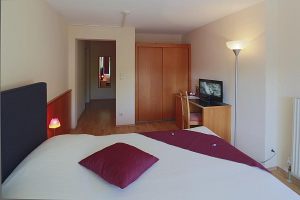 By popular demand, we are pleased to once again offer the 4* Germania Hotel. This very comfortable and very stylish family owned hotel offers exceptional value superior accommodation in this lake resort town. An excellent quiet location adjacent to the town centre and the lake all rooms have shower/bath & WC, hairdryer, telephone, mini-bar, safe, radio, free WiFi & TV. The hotel has a spa centre, a first class restaurant a terrace and bar. 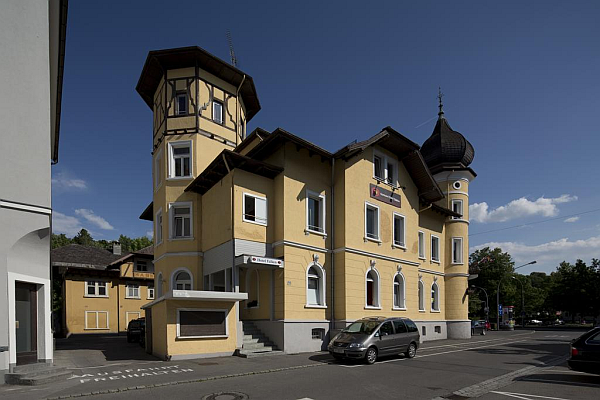 This hotel is within the heart of the town and 5 mins walk to the lake and the town centre. The train station of Bregenz is a convenient 10 minute walk from the hotel for rail travel to Gotzis – journey time 20 mins. This small family owned hotel is a comfortable budget option offering contemporary styled rooms – bathroom has a bath or shower plus WC -and equipped with TV, telephone and WiFi. An excellent breakfast is offered. Located 800m walk from the town centre. There are direct flights from Heathrow, London City, Gatwick, Birmingham & Manchester and indirect flights from Edinburgh & Glasgow via Amsterdam to Zurich that connect with our main group transfers from Zurich to Bregenz as detailed below. There are flights from Luton with Easyjet but these arrive later on the Friday afternoon than the group transfer. 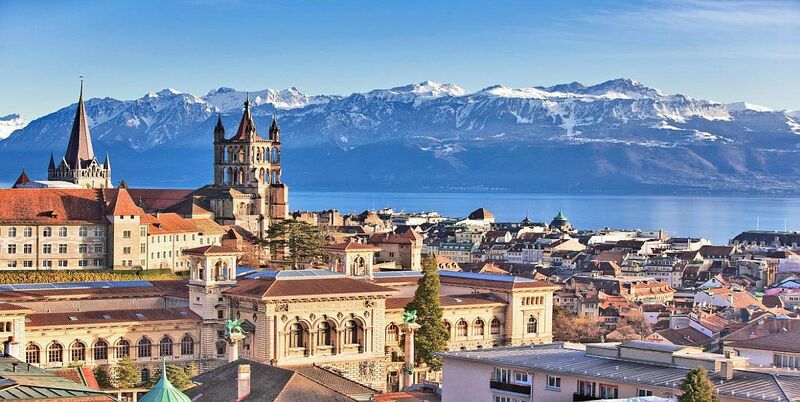 For clients choosing the add-on option to Lausanne clients can return from Geneva. 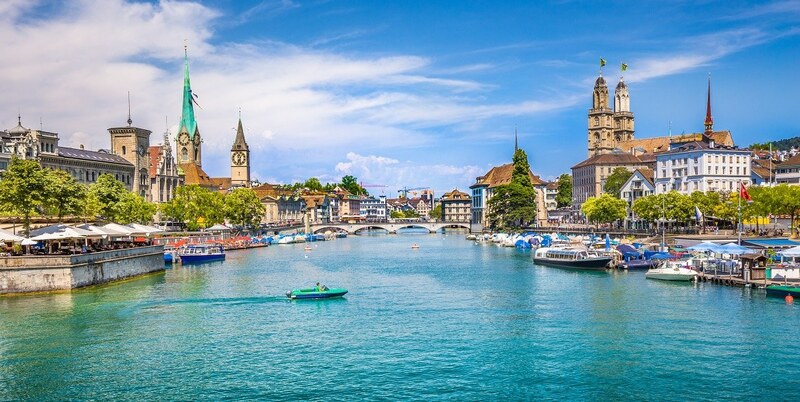 Fares combined with outbound flights to Zurich are generally similar to the return fares to / from Zurich. There are also other flights per day other than the one indicated for Tues 28 May. Private return transfers from Zurich – Bregenz by bus are included within the package options. Cat 1 and 2 passes have guaranteed reserved seating in the Main Stand. Cat 3 passes are ground access only with no seating provided. The Cat 1 pass includes full access to the Hypo Meeting Club with unlimited food and drink from a three course buffet lunch selection plus wine, beer, soft drinks, water and tea & coffee. Over recent years clients have booked extended stays in Bregenz to enjoy the many attractions there – a day touring the lake and visiting other lake-side towns or walking in the mountains are enjoyable options: the extra night(s) price is shown for the Germania hotel. 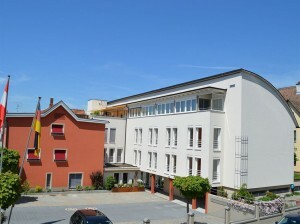 As clients are flying via Switzerland it is also possible to stay in Zurich for a night or two. 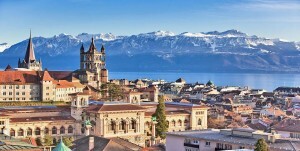 Another option for athletics fans is to travel from Bregenz via a delightful 4 hrs train journey on Mon 27 May to Lausanne to visit the Olympic museum, stay overnight in a 3* Sup hotel and fly back to the UK from Geneva either on Tues 28 May or later for an extended stay.